Round two of my top fives focuses on the men who have the best raw speed on the grid. In the current setup of Formula 1, the closest we have to a raw speed shootout is the second qualifying session on a Saturday afternoon. Unfortunately Qualifying 1 is ruined by the fact that the majority of the grid is fighting to avoid just one elimination spot (although this may improve in 2013). Qualifying 3 is often hidden by strategy, not to mention the fact that half the cars sit in the garage and post sector times. It is a forgotten art in Formula 1 but there is no getting around the fact that you need to fly when you have fresh tyres and low fuel in order to be successful in F1. So without further ado; here we go! Number five on my list was a tricky one. Both men I had in contention are low on experience. 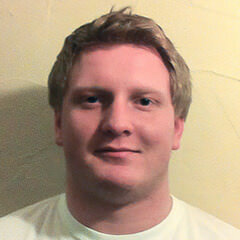 Along with Daniel Ricciardo, I had Valtteri Bottas due to his impressive speed in practice sessions in 2012. 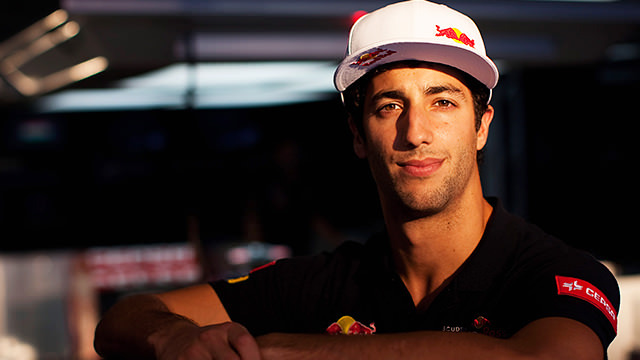 Nonetheless I went with Ricciardo because of the dominance he displayed over Jean-Éric Vergne on Saturdays. But also, we were shown a glimpse of what he was capable of. Way back in my first post for Sidepodcast I noted Ricciardo's qualifying performance in Bahrain, where he placed sixth. Unfortunately he couldn't replicate anything anywhere near that. But his mark was made, even despite the potential for a great result being ruined by a first lap crash. Ricciardo beat Vergne 16-4 in qualifying in 2012, a showing of dominance matched by few, but another reason for him being singled out as a qualy specialist is that teammate Vergne had the edge in the race, emphasising how dominant he was in qualifying. That and his outperformance of his Toro Rosso earns him the number 5 slot on this list. The Frenchman flew at the start of the season, bursting on to the scene with a career best third place on the grid for the opening round in Australia, which was effectively best of the rest behind the McLaren’s at the time. He matched that result in Spain (aided by Lewis Hamilton’s disqualification) and then surpassed it when he qualified second in Hungary. Although he was out-qualified in each of the last four rounds by teammate Räikkönen as the Finn really came to grips with the car, Grosjean’s reputation for impeccable speed was already known. In fact I think his speed, even on the Saturday, was affected by his one race ban at Monza (he only qualified in the top 5 once after the ban) which is a shame. Regardless, Grosjean out-qualified one of the best drivers on the grid 10-9 in his first full year, a feat which can’t be overlooked. If he can sort out his early lap issues then his prodigious Saturday speed will surely lead to more great results and possibly even a win in 2013. It’s going to be a brilliant battle between him and Räikkönen on Saturdays this term, with both men having had a year’s experience in the machinery. Another young man with great speed and an appetite for crashes slides in at number three on this list. Pastor Maldonado rose to prominence with a shock result in qualifying for the Spanish GP this year, where he put the car on the front row, and was then elevated to pole after Lewis Hamilton was disqualified, giving Williams their first pole since 2010. It was hard to judge Maldonado’s true pace, because his qualifying results were intermittent. However, he out-qualified, on average, the most experienced driver in F1, Rubens Barrichello, in his debut season and then dispatched Bruno Senna with complete ease. He now has a total record of 24-15 in qualifying against teammates having whipped Senna 15-5. I know that there were doubts about Bruno Senna’s performance in a Williams, especially in practice, and some mark Maldonado down for this but you can’t discredit results like pole in Spain, second in Singapore and third place on the grid in Europe and Abu Dhabi. Say what you want about the Venezuelan’s mentality but the guy sure knows how to perform on Saturdays. I admit that this decision may seem a little bizarre. Sebastian Vettel has 36 poles from 101 races, more than one every three races, and that includes 25 races at Toro Rosso. Vettel is an exceptional qualifier but I have a doubt in my mind of how much of his exceptional qualifying record is down to the ability of Adrian Newey to design a car specifically for qualifying. Despite this, Sebastian Vettel still has exceptional quality over a single lap. He set the record for most number of poles in a season, although he was aided by a longer season than when Nigel Mansell previously set it in 1992. Vettel is so good at qualifying that it is a shock if he is not on the front row. The strangest thing about Vettel’s speed is that he does it so precisely. Unlike his predecessor as king of speed, Ayrton Senna, his car looks as though it is on rails, not sliding around on the absolute limit of grip. Vettel is not without his landmark results. His first pole position was as impressive as any as he handled the wet conditions at the 2008 Italian GP to perfection and blasted to the front of a grid-in a Toro Rosso, something that the Italian team has not come close to matching since. Then, back in 2009, at the Chinese GP, Vettel set only lap in each session and was able to blast to pole by two tenths of a second. What I would do to see Lewis Hamilton in the same car as Sebastian Vettel because I’m really not sure who would win that war. Unfortunately for the spectators, when one car is strong the other seems to be struggling so we have never seen a direct battle between the two. I mentioned above that Senna was always on the edge, his car dancing from corner to corner; Hamilton is certainly his natural heir, his natural oversteer style is spectacular and great to watch - just watch his flying lap on Top Gear along with any qualy lap to see that. Hamilton doesn’t have the pole position ratio that Vettel possesses; in comparison he has a meagre 26 poles in 110 races - which is still far better than any other driver on the grid. But Hamilton has a tendency to outperform his car; he had to, to beat a Red Bull in 2010 or 11. There are two iconic moments that edge Hamilton to the number one spot ahead of Sebastian Vettel on this list. Firstly, the 2010 Canadian Grand Prix: Hamilton put in the perfect lap to end Red Bull’s seemingly endless run of 7 consecutive pole positions. He beat Vettel by three tenths of a second and pushed his car down the back straight having run out of fuel, still buzzing from beating the Red Bulls. 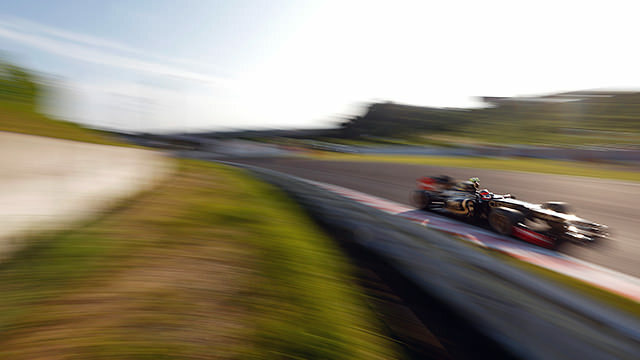 Better was to follow at the Korean Grand Prix 2011. A Red Bull had been on pole for the last 16 races, dating back to 2010, Vettel himself had had 13 of those poles, and Lewis Hamilton was on a mission to end this run. He knew that this was his best chance in a long time and had to take it, so focussed himself, went out and left the Red Bulls standing, before sullenly climbing out of his car. So there you have it, a top 5 qualifiers on the 2013 grid. I have to be honest; it is incredibly hard to judge between the unbeatable consistency of Sebastian Vettel and the spectacular nature of Lewis Hamilton’s style. In the end, whoever has the better machinery on the day will win out of the two of them. Hamilton will have his work cut out in a Mercedes, but I’m certainly not ruling out a pole or two for the man from Stevenage; if he can do it in a 2009 McLaren, there’s every chance that if the conditions are right for him and the car is primed for the occasion then he can score yet another unexpected pole position.